Today was a great food day! We walked up to the Central Market of San Lorenzo so I could spend more time there and so that Joe and Emily could experience it for the first time. 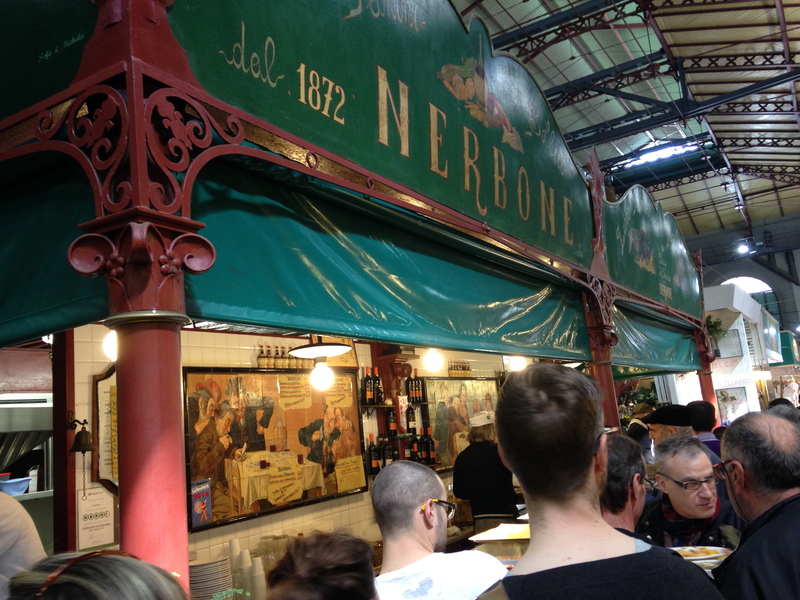 After wandering around and purchasing a few things (dried porcini mushrooms, cheese, fava beans and some herbs), we ate lunch at a stand in the market called Nerbone which has been serving food in the market for over a hundred years. We had risotto asparagi (asparagus risotto) and a glass of chianti. The risotto was far more al dente than any I’ve had before. I’m curious to see if this is the traditional Italian way. I look forward to trying other risottos in the near future to compare. But this risotto was extremely flavorful and quite affordable. After lunch we went to a fish stand in the market and bought some salmon to cook for dinner. I love the lifestyle where you purchase your ingredients fresh on the same day you cook them! In the afternoon we stopped off at a small wine bar near our apartment (Il Panino del Chianti) where they had €2.50 glasses of wine and €0.50 crostini. It was a great afternoon snack and I’m sure we will return. Once we returned home and put Emily to bed, I started cooking dinner. 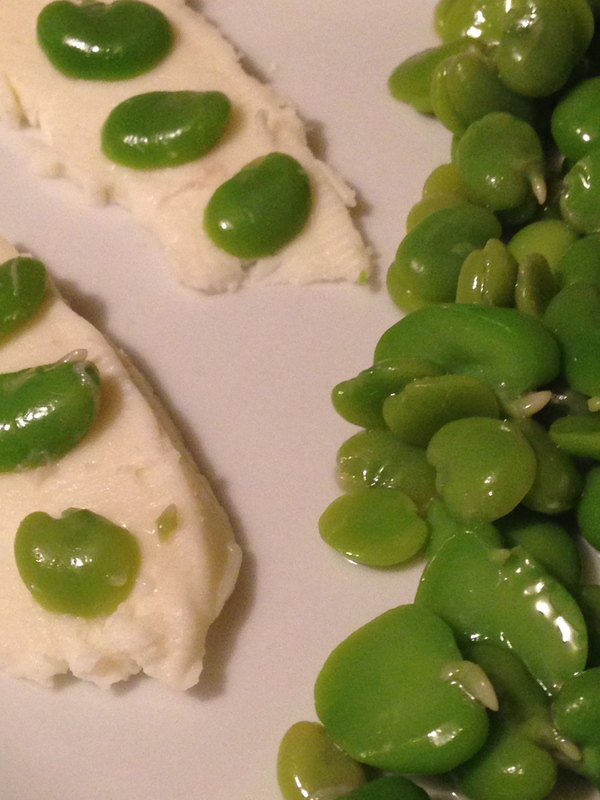 As a first course, we snacked on Marzolino cheese and fava beans. Marzolino is a type of fresh Pecorino that is seasonal in the Spring (Marzo = March). Pecorino is the most abundant regional cheese in Florence and before coming here, I didn’t know fresh Pecorino cheese existed. The Marzolino was truly delicious! The texture was soft and creamy, which is my favorite. And the flavor was sharp, which I love! Fava beans are currently in season as well. I originally purchased them at the market to go with our salmon for dinner, but then read that people in Florence traditionally enjoy Marzolino cheese with fava beans, so we gave it a try. It was a great combination of flavors. We chose to keep dinner light after all of the pasta, pizza and bread we have eaten lately, and we were both craving seafood. So I cooked salmon with fava beans in a butter-dill sauce. All ingredients came from the Central Market of San Lorenzo. I’m enjoying cooking with just a few ingredients. Simplicity is a great lesson to learn. There still was so much flavor!